It’s been a day of goodbyes and new beginnings here at camp. The day campers enjoyed their second day of camp, getting into the camp routine, while the X-Teen Senior High campers used this day to say goodbye. They leave after supper tonight. They used the day to do the camp activities that they didn’t get to do during their stay here. Last night, they debriefed on their mission trip experience. Our day campers learned about WORSHIP today, another faith practice that we should regularly be engaged in. 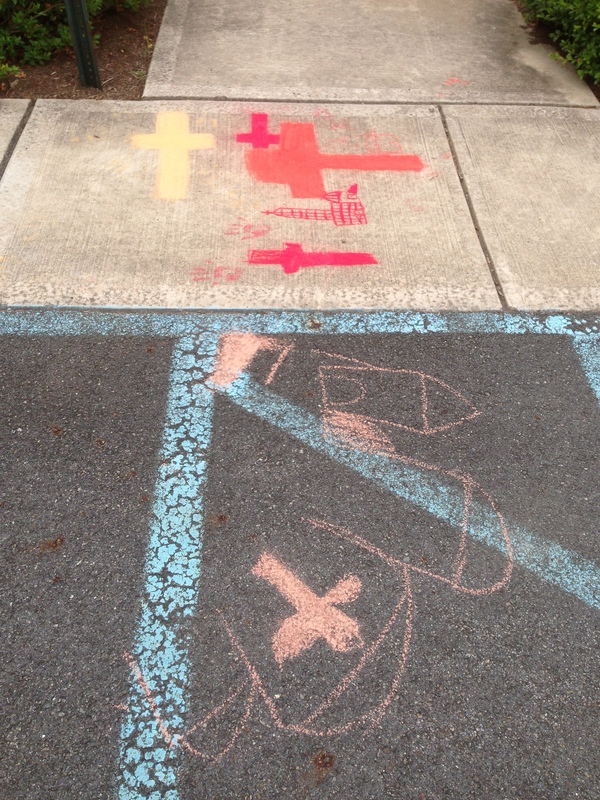 At First Light, they took a “crosswalk,” looking for crosses all around them. 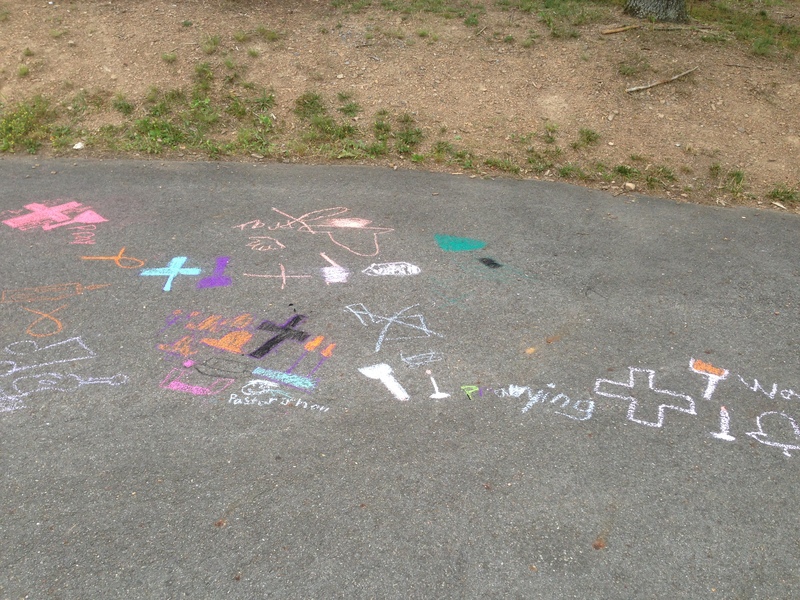 At lunch, they made some chalk drawings to depict their places of worship. We’ve included some pictures here. It was a bummer that some rain and thunder curtailed their pooltime again this afternoon.